The Loudoun County Chamber of Commerce has submitted its stance on the future of the county’s comprehensive plan, along with nearly pre-filled 300 comment cards from members. The chamber has been no stranger to Envision Loudoun, the county’s ongoing project to revise and update its comprehensive plan. 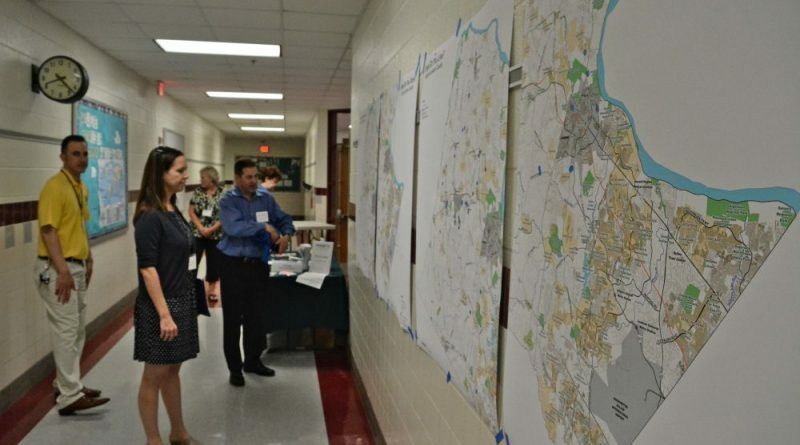 It has a representative on the stakeholders committee that guided the first draft of the plan rewrite, and has encouraged its members to make a showing at public input workshops on the plan. Last week, the chamber hosted an update and panel discussion with Deputy County Administrator Charles Yudd, who has been supervising the plan’s development. And at chamber events like its PolicyMaker Series of breakfast forums, the chamber handed out pre-filled comment cards and encouraged attendees to sign and return them. Along with a space for additional comments, the cards mentioned housing diversity and affordability; “creating a business environment that fosters innovation and further diversifies our local economy;” fixing the “constant gridlock” on Rt. 15, Rt. 9, and Rt. 50, along with new connections to Maryland and Prince William County; and “land-use policy that must allow for market driven innovations through flexibility and adaptability.” The chamber has also created talking points for public hearings at its website focusing on the same four topic areas. The chamber’s two-and-a-half pages of comments focus on the same four topic areas as the comment cards: economic development, housing and the “housing affordability crisis,” transportation, land use policy. Read the Chamber of Commerce’s full Envision Loudoun comments here. The chamber also referenced urban policy around transit, such as Metro, and Loudoun’s rural economy.